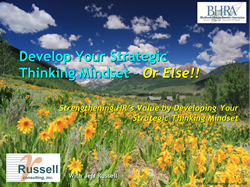 Innovation and Creativity – Russell Consulting, Inc. Innovation, Creativity, and Freeing the Duck from the Bottle! - Jeff presented his workshop on unleashing personal creativity as part of a community learning conference sponsored by Alverno College in Milwaukee Wisconsin. Click on the graphic above or here (Innovation and Creativity) for a PDF version of the PowerPoint slides. Contact RCI for more information on our innovation workshops.